It’s 1911 and the Boy Scouts had been in existence in America for barely a year. 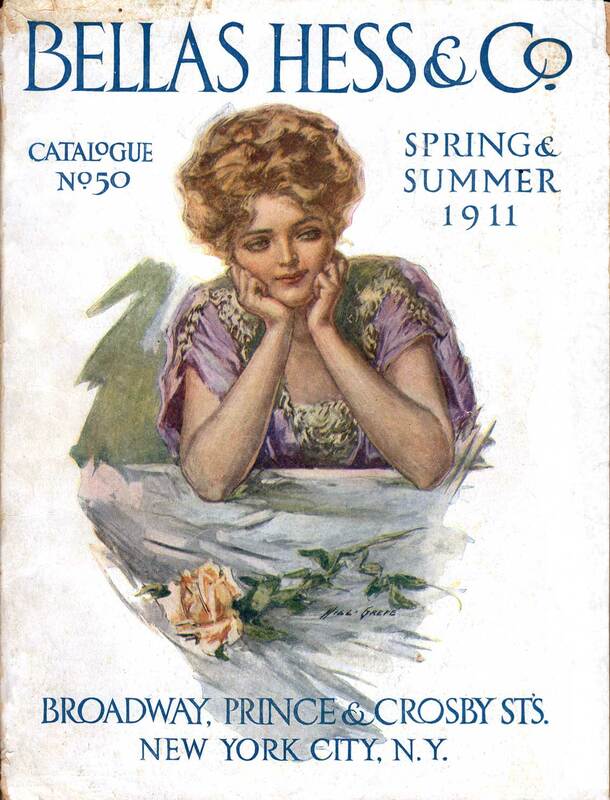 Which is why this catalog page spends more time explaining Scouting and how to apply to become one than it does selling the Scout uniform. Click to zoom in and read all the good attributes of this brand-new new organization. Of course, the Bella Hess company did note that they had exclusive rights to sell uniforms from their catalogue, so they weren’t too worried. Boy Scouts were originally English. 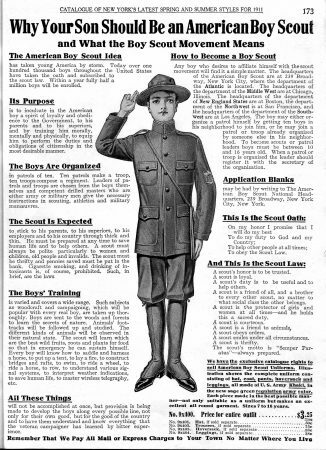 As any Eagle Scout will tell you, Scouting was founded by Lord Robert Baden-Powell a few years after he wrote a military field manual called “Aids to Scouting.” Boys loved the book and its lessons on tracking and observation, and that inspired Baden-Powell to create an organization into which young men could get involved in 1908. The idea spread like wildfire across England, and just 2 years later crossed the pond to equal interest and enthusiasm. No longer is a Boy Scout “the protector of girls and women at all times – and he holds this a sacred duty.” Of course, that’s because as of 2018, girls can now join the Boy Scouts, who are actually just…Scouts. One wonders what Baden-Powell would think.